Commence with three nights at all-inclusive The Brando, once home to Marlon Brando. Ten years in the making, the unique luxury resort was created on French Polynesia’s breathtakingly beautiful private island of Tetiaroa, an atoll composed of a dozen small islands surrounding a sparkling lagoon 30 miles northeast of Tahiti. 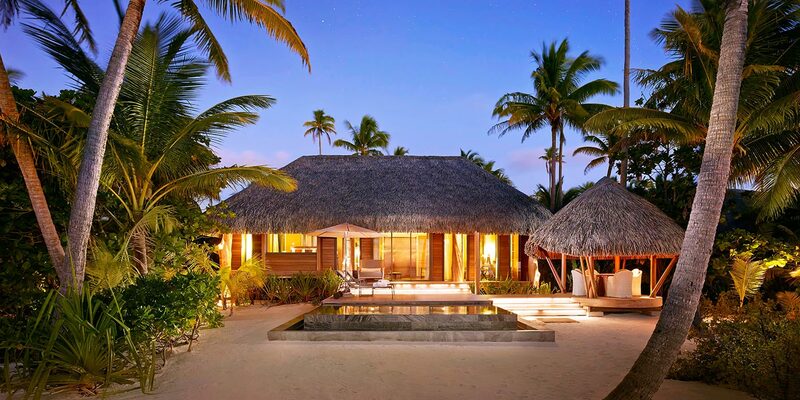 The Brando is an all-inclusive property, including award-winning cuisine by Guy Martin of the two Michelin-starred restaurant Le Grand Véfour in Paris. Thirty-five villas start from 100 square metres, with almost 300 staff to cater for your every wish. At The Brando, you will find an abundance of activities from bicycling, snorkelling and bird watching to diving and paddleboarding. Here, you are not just observing nature; you are in it. Continue the journey as you board the all-inclusive Seven Seas Navigator, part of the World’s Most Luxurious Fleet™ on a 10-night cruise visiting some of the most pristine and remote islands of Tahiti. Regent Seven Seas Cruises® is The Most Inclusive Luxury Experience™ in the world and the only cruise line to offer free unlimited shore excursions in every port of call. This is cruising as you want it to be. After a luxurious cruise aboard all-suite, all-balcony Seven Seas Navigator, conclude with two nights in an overwater bungalow at InterContinental Tahiti Resort & Spa. Latitude 33’s tour is limited to just 20 guests, and with only four suites left, you’ll need to be quick. For more information or to book, call 1300 636 848 or visit the website.